Nurturing isn't just girl's work, and breadwinning isn't strictly a guy thing anymore. Traditional attitudes - that men should work and women care for home - are crumbling rapidly, especially among younger generations, according to a national study of workers published recently by the Families and Work Institute. Today, equal numbers - about two-thirds - of both men and women age 28 or under want to advance at work, closing a past "ambitions gap" marked by significantly fewer young women than men wanting to move up in their jobs, the study shows. As well, just 40 percent of workers across generations still believe in the supremacy of the male-breadwinner model, down sharply from 64 percent in 1977. We've all seen the change - in the boardroom and playground, around the family kitchen or pediatrician's office. Men are cooking and pushing strollers, moms are expecting promotions and long careers. But the extent of the shift away from past gender roles surprised even the researchers. "Life has changed," says Ellen Galinsky, head of the institute, which has been tracking workers since 1977 through government data and, since 1992, its own national surveys of about 3,500 workers taken every five years. "Women are seeing their role in taking care of family as being economic as well as social. 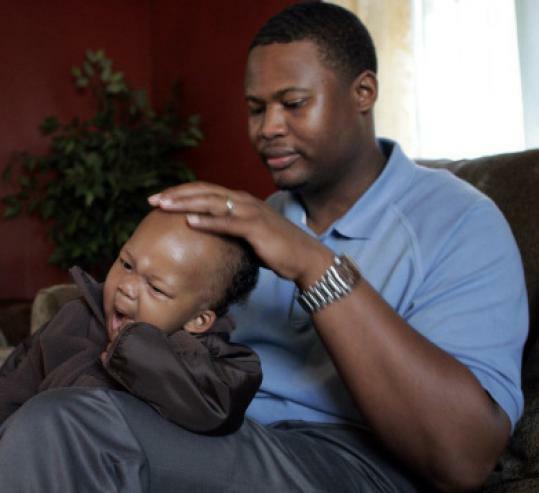 Men are seeing their family role in terms of wanting to be more involved with their kids." Galinsky said she quadruple-checked the "breathtaking" finding that just as many men as women - or 60 percent of each gender - now reject the idea that it's better that men earn the money while women care for home. In 1977, just 25 percent of men disagreed with this notion, compared with half of women. In the past three decades, a steadily declining number of men and women across generations have lauded the male-breadwinner model as best, as women's paychecks and career ambitions have risen. Strikingly, just over half of workers age 63 and older now espouse traditional gender roles, down from 90 percent in 1977. Naturally, Generation Y exemplifies these trends. Many were raised by college-educated moms who toted diapers as often as briefcases - and who fought for equality at work and at home. The average full-time female worker now earns 80 percent of a man's weekly pay, compared with 62 percent in 1979, according to government data compiled by the institute. For Cherie and Myron Callender II, the juggling act is such a partnership that they support each other's careers and trade off on housework and caring for their two children, ages 4 and 7 months. Myron, a 25-year-old car salesman, works a variety of hours over six days, so he does most of the laundry and often takes care of the kids in the morning. Cherie, a 26-year-old project coordinator with the Regional Employment Board of Hampden County in Springfield, does most of the cleaning and the afternoon day-care pick up. For now, she shoulders more child-care responsibilities, yet in the future, they say that may change, as their career goals shift. "I don't believe that one career outweighs the other," said Myron. It was 9 p.m. on a weeknight, and he was speaking by phone as he drove home, eager to play with his infant son and perhaps read his toddler daughter a book. Some older co-workers, he said, "find it hard to believe that I do as much as I do around the house." For younger women, in turn, career ambitions aren't dipping - even after they have children, the study showed. That's a change from the past, when young working mothers were substantially less likely to want to move to jobs with greater responsibility than their childless peers. Today, flexible work and more supportive spouses and employers make working during motherhood a feasible option for many women. "I don't think that having a child should stop me from advancing in my career. There's lot of ways to work around that," says Stacey Hurley, assistant manager of the Brookline branch of Isis Maternity, a Needham company that offers childbirth and parenting classes. Hurley and her physical therapist husband, Ryan, have flexibility at work, so they share housework and care of their 2-year-old daughter. The couple, both 26, live in Boston. Like many Generation Y members, the Hurleys often take turns ramping up and down their careers. When their child was born, Stacey was working full-time and enrolled in a master's degree program, while Ryan worked part-time and completing a doctorate. She withdrew to focus on the baby, and he finished his degree. Now, he works one-and-a-half jobs, and she's planning to return to school to complete her degree. "Taking turns has worked for us," says Stacey Hurley, who added she and Ryan have been influenced by having working parents who pitched in equally around the home. "That has filtered down to us." "We tend to be very open with each other about what we want to do," says Ryan, who estimates he spends three to four hours each weekday with his daughter. Such mutual support is key to carving out dual-earner lives that match both partners' visions of success, says Jessica DeGroot, head of the Philadelphia nonprofit Third Path Institute and a leading proponent of a new model of work-life that involves shared care of children and mutual career building. "When you get couples to support each other, the sky's the limit to what they can achieve," says DeGroot, who called the study's findings "exciting." Such couples "can watch each other's backs to help each other create their preferred balanced approach to life." Of course, turning mommy work and daddy work into one big pool of parental work isn't easy. As I've written many times, when both spouses pitch in around the house, chores can become the target of endless negotiations. Who stays home with the sick child or for the cable guy? Who has the energy to grocery shop when both spouses have had a killer week? Perhaps no more bittersweet proof that gender roles truly are shifting comes from the study's data showing how badly men are feeling the crunch. Nearly 60 percent of dual-earner dads report that work and life conflict some or a lot of the time, up from 41 percent in 1977. About 45 percent of moms, in turn, report such levels of conflict, about the same as in 1977. Dads, in other words are getting used to a whole new mantle - juggling the joys and burdens of creating a home, alongside the satisfactions and tensions of building a career. The title of the new study - "Times Are Changing" - couldn't be more apt. Maggie Jackson is the author of "Distracted: The Erosion of Attention and the Coming Dark Age." She can be reached at www.maggie-jackson.com.